Reiki is a Japanese word meaning ‘life force’ and dates back to India and the East many thousands of years before Christ. Ki is the physical vitality that gives life to all living things. 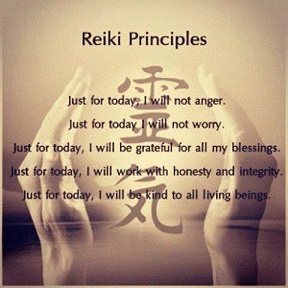 Reiki promotes self healing and has the ability to restore harmony and bring about a feeling of peace and calmness. It is beneficial to anyone suffering with stress, depression, irregular sleep patterns, emotional issues etc as it works on the emotional plane. A reiki treatment in my peaceful salon in Pokesdown will leave you feeling refreshed and at peace. It may release negative emotions that have been stored for many years, leaving you feeling lighter and more at ease. I also practice Reiki on animals so if you have an animal that you feel would benefit from some Reiki please contact me and we can discuss how I might be able to help. I charge £20 for a Reiki healing session and the treatment will last up to 30 minutes including consultation.